In the 17th Century many people in Scotland opposed interference by the Stuart Kings in the affairs of the Presbyterian Church. They refused to accept the King as head of the church, insisting that only Jesus Christ was head of the Presbyterian Church. And in 1638 the National Covenant was signed, thus beginning the group we now know as the Covenanters. Ministers who supported the National Covenant were ousted from their churches, which were put under the charge of Episcopal curates. Many continued to preach at ‘conventicles’ – gatherings for worship held out in the open air, in barns, in private houses. There was, over the years, great persecution of Covenanters: imprisonment, transportation, and death were common. In this region stand many memorials, preaching and communion stones, which mark our history, and remind us of the bloodshed and the loyalty given. By the faith of these Kirk folk, the Presbyterian Church remains independent of government and continues to hold Jesus Christ as head of the Church. 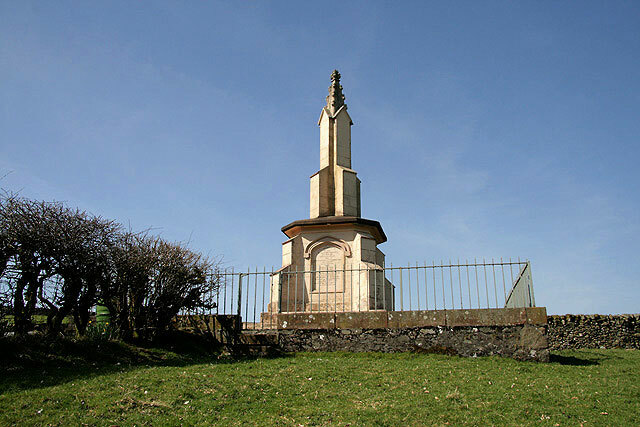 Locally, we have graves of martyrs in Glencairn Kirkyard; a preaching stone at Breconside; stones which mark the place where local Covenanters were killed; and in Moniaive itself a monument to the memory of Jams Renwick who was the last Covenanter to be hanged in Edinburgh. With the market cross, the George Hotel, and Caitloch cave we have a most interesting part of the history of our Church and faith. Find out and read about these ordinary men, women and children who were brave enough and faithful enough to stand for what they believed. Theirs is an intriguing story, a story that is repeated in many other parts of Scotland. 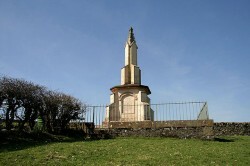 Renwick Monument on outskirts of Moniaive Village. Glencairn Kirkyard – site of Martyrs’ Graves – where some of those killed in open land are now laid; with inscribed stones which tell their story.